Amazon.com is currently taking "Pre-Orders" for the second edition of Some Assembly Required: How to Make, Grow and Keep Your Business Relationships. They are offering it for $14.93 at this time (it will soon go back to full price - $21.95). They will receive the books in a few days, so you will get your book soon. 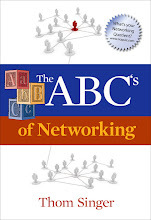 If you also purchase The ABC's of Networking I think you will get free shipping! Heck, by a dozen for everyone on your team at work! There are people who are just plain wrong about what networking "is" and what networking "is not". Some misguided souls think that networking is all about going to parties, seminars and other business events and trading business cards. They somehow think that meeting people makes them instant friends and that these newly found compadres will run home and instantly begin to refer business. Alas, these folks get no value from their network and instantly refute the whole concept of building a network. I meet people all the time who have soured on the importance of cultivating business relationships. These "anti-networking evangelists" are very opinionated and love to pontificate that networking is a bunch of crap. They have millions of theories about why it does not work, and love to put down those who embrace the practice. The funny part is that I have never met a really unselfish "giver" who holds these negative feeling. You know why? Because givers get! Those who make it a priority to be a resource to others that they meet are showered with opportunities from their network of personal and professional contacts. People who are constantly looking for ways to assist others discover that their contacts want to return the favor. Over the long haul those who are a resource will benefit from their powerful network. The next time you focus on your networking efforts do not think: "what can these people do for me"....instead think "what can I do for these people" (thank you John F. Kennedy!). If you meet someone in a business situation and try to figure out how you can get business from them, you are much less likely to ever gain anything of value. However, if you make a new contact and ponder what effect you can have to make their life better, they will recognize you as an important person with whom they will want to get to know better. There are few business situations where we are conditioned to unselfishly focus on the good of others without a direct payoff. However, what goes around does come around, and finding ways to be a resource for others will deliver dividends. Try it. You will be amazed at how your life will change when others discover you are the "Go To Person" who will help them meet their dreams. Be a resource for others and you will be rewarded! August 2nd (Thursday) from 6:00 PM - 8:00 PM is the next Austin Tech Happy Hour. These events popped up on the local technology scene in May and are a fun and informal gathering for those who work in and around the Austin Tech community. The event will be held at Third Base on West Sixth Street (near MoPac). The July/August edition of SPEAKER Magazine (the publication of The National Speakers Association) had an intriguing profile of Patricia Russell-McCloud, written by Kate Grip Denon. 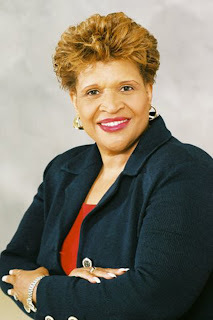 Previously unfamiliar with Ms. Russell-McCloud, an accomplished and successful professional orator and author, I was moved by the way that she views the world and her dedication to following her passion. After law school, Patricia had a decade long career with the Federal Communications Commission. While her success was evident, her passion was speaking. It was her belief in this passion that allowed her to sparkle when she was in front of an audience. While she enjoyed her job, it was not her calling. 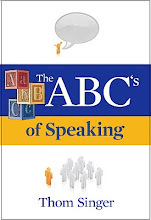 In 1983 she made the leap to being a full-time professional speaker. Her pointers for others sings; "Life is too short to pursue anything without passion. You need to align yourself with passion so you can measure what you are doing versus what you are doing with passion. Be honest, prepare yourself, be dedicated, broaden you horizons and be yourself"
She has a manner about her dedication to speaking that hit home in my soul. She believes that you should celebrate your audience and connect head and heart every time you are at the podium. This is great advice for professionals in any profession. Do you "celebrate" your clients? Do you implement the effort to "connect your head and heart" with each interaction you have with prospects, customers and members of your professional network? You should. We all should. As a professional business speaker I could not pass up the opportunity to kiss the "Legendary Stone of Eloquence". 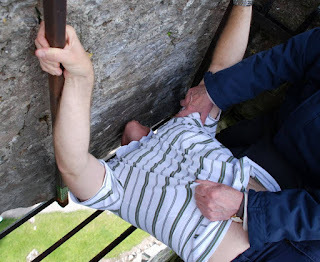 This mystical stone, set high in an outside wall of the famous Blarney Castle in County Cork, Ireland, has been kissed by American presidents, world leaders, and international entertainers, and promises to give one the ability to never be at a loss for words. The legend of the Blarney Stone is that an old witch cast a spell on the stone to reward a Scottish King who saved her from downing. The stone was believed to have special powers, and thus the kings of Scotland were crowned over the magical rock . Kissing the stone would give the kings the power to talk sweetly and to persuade others to their point of view. The stone was given to Cormac McCarthy by Robert The Bruce (of Scotland) for his support in battle in 1314. Later, McCarthy's descendant negotiated with the British crown, and creatively found a way to let both sides "win", causing Queen Elizabeth I to proclaim that he was giving her "a lot of Blarney". Since that time it has been believed that anyone who kisses this stone will have "the gift of gab", and the ability to persuade. Baloney is when you tell a fifty-year-old woman that she looks eighteen. Blarney is when you ask an older woman her age, because you want to know the age at which a woman is most beautiful. 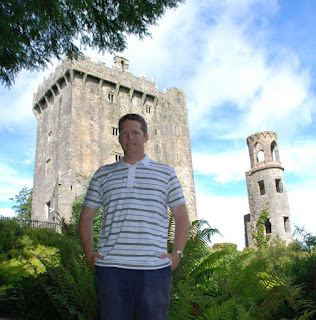 Having grown up in a large talkative Irish family (my mother was one of ten, and I am the youngest of twenty-six grandchildren), the legend of Blarney was one that I had heard many times. Being a verbose kid, my mother used to warn me never to kiss that stone! Millions of people have made the pilgrimage to this ancient castle, to experience the fabled rock. To kiss it you must hang over the edge of the castle. In years past they held you by your ankles, but now they play it much safer. Leaning back and holding the metal bars, you still feel freaked out by the sensation. Not to mention that the rock is cold and slimy when you kiss it. Bill Clinton mentioned at a 2004 fundraiser that he had kissed the Blarney Stone, causing Jay Leno to muse that "Clinton had originally denied it, claiming that the stone had kissed him." (If I had known Clinton had kissed the stone before me I might have rethought the whole thing!). So now I am a Blarney Certified Professional Speaker, and I am not even going to raise my speaking fee. Don't Be A "Yucky Salesperson"
My friend, Chris Hyde, has just become a mortgage broker in the Pacific Northwest. Chris is blogging his journeytoward success as he makes this career change at age 41 (Chris is MUCH older than me....5 days). 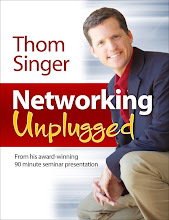 "[Thom] teaches you how to network with people, but not in a yucky 'pushy salesman' sort of way". The drawback to Ireland's phenomenal economic growth over the past decade is that the basic infrastructure that we take for granted in the United States has not been able to keep up. This is most clear to those who have to take to the roads and drive a car in Ireland. This was unlike anything I had ever experienced. The government is building and expanding the roads with great speed and enthusiasm, but Ireland is a big country, and once you are outside of Dublin (or the other larger cities) you find yourself on narrow two lane roads that were designed for the traffic of two decades ago, when few Irish had cars. They have recently added traffic circles at every corner, and the local motorists seem to find these akin to a fast paced wild video game. Now that everyone has an automobile, they drive them with great speed and enthusiasm. The speed limit on the skinny and curvy roads is 100 Kilometers per hour, which is fast once you consider that the on coming traffic is also going at equally high speed with only a thin white line in the middle. Also, there are no shoulders on these roads, so the slightest miscalculation of a turn and one could easily end up off the road or worse. Ireland was my first experience driving on the left side of the road. I never got used to going to the opposite side of the car, and more than once found myself seated in the passenger side with my keys in hand. Hmmmmm. Ooops. With the crazy roads and even crazier drivers I felt that I was putting my life, and the safety of my family, into the hands of all the other drivers who were going the other direction (an often believed that this faith was misguided!). They seemed confident in their ability to navigate their cars at high speeds through the winding countryside. The truckers and tour buses are what really scared the hell out of me, as their vehicles were wider than the lanes, but this fact did not seem to slow them down. I had no choice, I had to drive on each day toward our next destination. The trip was an adventure, and like any good quest, there comes with it some anxiety and fear. In the end, we survived (although each county had road signs posting the number of head-on-collision deaths in the past four years, which did not build confidence!) and the frightening part of driving in these conditions just became part of my Irish experience. One excellent way to solidify a relationship with people in your professional business network is to work together on a project. There is something special in striving to complete a goal, and when sharing this experience with a friend, it can transform a friendship. Deciding on the right project is never easy, but once you identify something that you are both excited about, the results can be amazing. It can be just about anything that you both agree is mutually beneficial and it does not have to be equally important to advancing both partners career. It is alright if one of those involved in the project is in a "support role", as long as everyone is clear on the purpose and the desired outcome. One of my friends is working on delivering a very important presentation for his company, and the success of this speech would make a big difference in his career. We are working together to craft the correct words and to fine tune his delivery. While there is no direct reward for me in being involved in this project, I am excited to assist him in this very important endeavor. We will meet a number of times over the next month to assure that he is prepared to dazzle the audience. This effort will not only guarantee his success, but it will also strengthen our friendship. I recently had lunch with author and business consultant Steve Harper (The Ripple Effect). We decided to co-author a white paper on how to manage a professional network of contacts and effectively turn those connections into real business opportunities. We both share a passion for the importance human connections in regards to living a productive and satisfying personal and professional life. I am excited to work with Steve, as I admire the business that he has built in the past two years, and I know that working together will have a great effect on advancing each of our goals. Find out how you can help others to complete a project or work together on one that you co-create. Nobody is an island, and when you find ways to join your efforts to others like-minded people, the results can be sky high. The last stop of my family's European adventure was six days in Ireland. The Emerald Isle is amazing. The beauty of the country is beyond description. Every shade of green appears on the hillsides and the people are the nicest on the planet. At every turn we impressed with their friendly and welcoming attitudes. I have wanted to visit Ireland for longer than I can remember. My maternal grandparents were born there, and I grew up amongst stories of my grandfather's childhood in rural County Mayo. He moved to America with his three younger siblings when his parents died suddenly. There was no future for the family in the poverty stricken country. He was seventeen and went on to create a good life in his new land (he loved America and everything it stood for), but he carried within him the spirit of his Irish heart. My mother never made it to Ireland, although I know she had always desired to make the trip (she was born in California). I know that she was with us as we traveled her parent's homeland, and on some level I feel we were there for her. Two decades ago, if you had told the governments of Italy, Germany and France that they should look to Ireland for economic advice you would have been laughed out of the European Union. For centuries Ireland was one of the poorest countries in Europe. However, in the past fifteen years it has become a hub for high tech companies and other innovative business growth. The Irish have prospered. Known today as the economic "Emerald Tiger", other countries are studying and hoping to replicate their success. These new found economic windfalls have lead to amazing growth and opportunity. With that has come traffic congestion, immigration issues, and other problems of the modern world. Ireland is now one of the most expensive countries in which to live in Europe, and one sees that cost when eating every meal for a week in restaurants. Yet the natural beauty of the place somehow transcends everything. The Irish continue to have the a friendly demeanor toward neighbors and strangers. While the French tell you "Merci" with every interaction, you somehow do not feel their "thank you" is rooted with any sincerity. However, when the Irish say "Thanks A Million", it grabs at your heart and you know they are consumed with honest gratitude. One visit to Ireland was not enough. I will cherish the opportunity to spend more time there in the future, but a week did not do it justice. We will go back, and invest in soaking up the culture, countryside and surprisingly delicious cuisine. The country is a wonderful example of re-invention while still masterfully maintaining it's generous heritage. We should all do that! In the modern post internet world many business professionals have developed "virtual friends" through business, on-line social networking sites, and personal hobbies. While being linked to someone is never the same as actually knowing them in a face-to-face way, these people can still be an important part of our personal and professional lives. When these people are geographically near, it is a natural occurrence that you will eventually meet in person. Being able to spend some time with your "friends" in a real life situation gives you a the ability to really get to know them. In a virtual world we never really know a person, as most communication is non-verbal (or non-typed), and thus seeing them gives us the full picture. If you live far apart, meeting is usually less convenient, but still an important step in cultivating a real relationship. I recently heard a story of a woman who met the love of her life through an online dating site, although he lived in another state. After a year of emails and phone calls they met in person. He was not tall, fit, young, handsome, single or employed. He had invented all of these qualities and was able to hide behind the facts that she had never seen him. The same thing is true of business professionals you meet on-line....you still need to actually meet someone to really know their character, personality and motivations. I try to make it a habit of meeting my on-line friends for coffee when I am traveling on business or pleasure to their cities. I only do this with those whom I have actually come to know well (not just someone I had exchanged an occasional email, but rather a person with whom I have done business or had extensive conversations). What is great about this is that you get to have a more full calendar on your trip, and it almost always a lot of fun to "put a face with a name". I recently did this on my trip to Ireland when I got to meet Ireland's premier business expert on the topic of networking and personal branding, Tricia Murphy. Tricia and I had traded many emails, and she had referred many of her clients to The Networking Quotient Quiz. Additionally she had read one of my books, and helped my family find our Irish travel agent. I felt as though I already knew Tricia, but because she lives 6000 miles away, we had never met. The result? We had a wonderful two hour breakfast and are now better friends. She was delightful to talk with and my whole family enjoyed meeting with her, as it was great to learn more about Ireland from a Dubliner. She lived up to her reputation, and I look forward to continuing having her as part of my network! It is beneficial to meet your virtual friends in your network, as it is these types of encounters that transcend them from "virtual friends" to "friends". IMPORTANT CAVEAT: We live in a dangerous world, so you need to be careful when meeting people whom you met on the internet. Women especially need to be cautious when meeting men. Always meet in a public place (like a restaurant), and not in a bar at night! Never go to their home or invite them to yours. Also be sure to let others know whom you are planning to meet while you are traveling. I know, it is sad that I have to say this, but always be cautious. My daughters were playing at the park in the Luxembourg Gardens in the heart of Paris when the rains came. With all the museums, monuments, shopping and culinary delights, Jackie and Kate prefer this playground to any other activity in the lovely French capital city. Granted, there is a classic merry-go-round, a zip-line, and more kids than one can count all running, jumping, sliding and playing. Additionally one can get a yummy strawberry crepe right there in the park. The rain was just a drizzle at the start as we began to make out way out of the large garden, but then it really began to pour. We had umbrellas, but they were little help. We made a run for it. We ducked under trees, and looked for the fastest way out...running and laughing all the way. The rain stopped as fast as it arrived. Our soaking wet crew found our way into a welcoming sidewalk cafe where some hot chocolate warmed the body and soul. We were drenched, but if one has to be caught in the rain, how wonderful to be caught in the rain in Paris. I learned from the kids not to worry about the discomfort of being wet, but instead to find the joy and laughter in the experience. They loved it. And you know what? We dried out and were back on track in no time. How many times in life do we let the dark clouds ruin our day? Why do we do that? Why not just make a run for it and keep smiling? This is a lesson I hope to retain. No rain (actual or metaphorically) can spoil my day! Austin, Texas was recently named one of Fast Company Magazine's "30 Fastest Cities". Listed on a page of "Start-up Hubs" (along with Madison, Tucson and London), the article highlights the reasons that Austin is such a wonderful place to start a business. Austin is great. I love living in this city and participating in the unique and diverse business community. But I worry about if the technology community is doing enough to ensure its continued success and to be a beacon to the business world. During the "Internet/Tech Bubble" of the late 1990's, Austin was certainly amongst the cities that generated all the buzz for start-ups. Yet these days we tend to just be skating along. Everyone in the industry is soooo worried about what was "wrong" during the boom-boom times, that they seem scared to jump in with both feet and incubate the future. Out goes the baby with the bathwater. I am not claiming that people need to behave like it is 1999, instead, they should look at 1996 - 1998 when the entrepreneurial spirit was thriving, just not nutty crazy yet (we all know that the dot-com craze jumped beyond reality). Austin also has some great technology roots in the 1980's when George Kozmetsky and his band of visionaries worked together to establish Austin as a hub of the techno world. We need to repeat these types of actions now to ensure our future successes. While things are going well in the Austin Tech Community, there does not seem to be a visible spark of excitement. Without that thrill of entrepreneurship, we will just continue to limp along. Everyone appears to be waiting for the next guy to figure out what to do to ignite the passion again. But some aggressive folks are doing things that are good and fresh in order to bring people together. It is through human interactions that opportunities arise, thus anytime technology inspired people can gather, germination of ideas can begin. The Austin Tech Happy Hour has popped up on the scene (The next one is on August 2nd at Third Base) and the Austin Start-Up Blog has interesting posts almost daily with nuggets of information about local companies who are making a difference (both of these are the brainchild of Austin entrepreneur Bryan Menell). 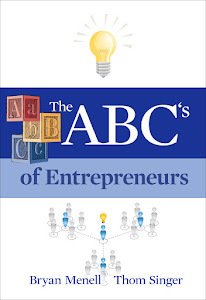 Enthusiasm is needed to seed tomorrow's entrepreneurial spirit. More investors need to believe in start-ups and today's existing companies need to prosper to show the way. I don't have the answers, but I am observing a lot of "blah" and too many standing on the sidelines. It takes human action to create the buzz that is needed in this community, people need to become engaged in helping it grow. My hope is that more real entrepreneurs will get over the fear of standing in the spotlight and expose the world again to the fun of technology. Most people do a good job of keeping up with close friends and important prospects or clients. Additionally, those who actively network are keen on making new contacts and discovering ways to cultivate relationships. However, it is the "Tweeners" (those in between) that we allow people to slip through the cracks. Developing true connections with people which leads to added business takes time. Often when people meet someone new and no immediate value crops up, they fail to advance the friendship. After a few interactions they move on the greener pastures. While I am not suggesting that you have to spend time with everyone you have ever met, I am suggesting that you need a long term outlook when it comes to networking. If you like and respect someone, you should continue to discover ways to cultivate the relationship, even if there is not direct financial pay off in the near term. The reason for this is that networking is not just about finding ways for other people to send you business. Yes, that is part of why you invest your valuable time, but that is very selfish if it is your only goal (and it wont work, people can smell a "taker" in no time). Having a large, robust and active network is also about your helping others, and having the right contacts where you are seen as "The Go-To Person". If your relationships with people go stale, you are not able to call on them when someone else needs the contact. I have a friend who is looking to make a job change. I have helped him meet some key people in his target industries, and recently he said "thank you". More importantly he said that he knows someday he will be able to discover a way to be a resource in return. That is networking. I am confident that one day he (or someone he knows) will need to hire a speaker for a business conference and I will get the call (or something similarly beneficial). But if not, I am still happy that my contacts are useful to him during his quest for his new employment. Keeping those "Tweener" contacts alive is not easy. You need to review your list and regularly reach out to people. They most likely view you as a "Tweener" also, and therefor have equally not invested too much time in you. Thus you have to be proactive. Find reasons to stay in touch and on occasion set up coffee or lunch with those you have not been fortunate enough to see often at networking events (going to networking events is not just about meeting new people, it also allows you to keep relationships alive with those you already know!). If you do not take the initiative, they might not either. ...thus the relationship will wither and die. That is not good for either person. Become the person who reaches out and keeps relationships alive. Hey Bloggers - If you would like a review copy of Some Assembly Required: How to Make, Grow and Keep Your Business Relationships - SECOND EDITION - - please email me. I will need you to send me your physical mailing address and your blog URL (your blog must have some reason why it would review a business book) and I will mail you a copy. I am always thrilled when I see entrepreneurs who have found a niche in which they prosper. Chef Ronald of Marseilles is such a man. He lives and works in the Provence region of France, where people come from around the world to rent large houses and chateaus to experience living in the French countryside, even for just a week. Ronald has created a business serving those on holiday, literally! It is not everyday that one gets to see a professional chef in action, and then sample the fruits of his labor on the edge of a vineyard seated at a beautifully set table while sipping amazing French wine. The mussels, cheeses, duck, potatoes, vegetables and dessert were all works of art for the eyes and the taste buds. We laughed, talked, ate, drank and delighted in the evening (and the kids never needed help, fought, screamed or cried!!!). It was one of those rare perfect moments in life. Chef Ronald has created a business of "wow". His expertise in the kitchen translates to enjoyment for his hungry customers. Each day he cooks in a different kitchen (although many are familiar to him, since these houses get new crops of guests each week) for gatherings of people from a variety of countries. His skills bring not only a warm and satisfying meal, but memories that can never be repeated. It got me wondering why we do not find other simple ways in our daily lives to create these types of amazing moments. Granted, we do not always have fancy locations and expert chefs at our disposal, but we do have access to the people in our lives who really are the core of such an evening. I hope to go forth and bring more spectacular into my life and those around me. The Second Edition of Some Assembly Required: How to Make, Grow and Keep Your Business Relationships is now ready for order on Amazon.com. 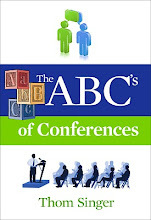 A new cover, a new chapter on social on-line networking, and many changes that came from suggestions from those who read the first edition of the book have made the book better than ever. If you have never read Some Assembly Required, now would be a great time to read the book. The opportunity to join friends in France lead us to Provence and for a wonderful adventure exploring a very beautiful part of our world. From what I was told, the house was not officially a "Chateau", but it was a darn big house that was able to hold six families. Located in the French countryside alongside a vineyard, this was a delightful place to spend a week with some old friends, as well as some new ones. There were 11 adults and 12 kids (under age twelve), and from the moment we walked in the door it was a wonderful atmosphere of "good times had by all". My kids were in the pool within five minutes of arrival, which in any country translates to pure joy. My wife and I were greeted by our friends who immediately poured us a nice glass of wine...which also translates to pure joy! The food, the wine and the ability to sit on the vine covered patio at sunset reminded me that while work is important, one must stop and smell the lavender (which grew in abundance along the side of the perfectly green lawn). Each day the first to wake would go to the local boulangerie for fresh bread and pastries. Following a relaxing morning on the patio, we would go in groups (large or sma ll) to visit the unique Provencial towns that were within driving distance. The pace of life in the open air markets was much slower and more peaceful than in a crowded supermarket or shopping mall. Everyone seemed to know each other, and smiles were everywhere. Don't get me wrong, we were still in France where rude is just part of life when it comes to strangers. One shop owner was talking bad about the customers (us) in French to her friend, not knowing that one of our clan was fluent in the romance language. We decided not to buy from this store. Also, the French lack a sense of urgency that we Americans seem to have about everything. I am not saying we are right and they are wrong....just different. In fact, I admire the slow pace of my vacation...but while a two or three hour lunch seemed common, sometimes we just wanted the check so we could move on before the children were bored to tears. I learned to enjoy the slow pace of life in Provence and to allow myself the opportunity to simply enjoy the world around me. I wish I could bring part of that home with me, but I fear that now that I have returned to Austin, the speed of life will return to supersonic. We relished the joy of everyday in discovering the region. I came to appreciate that I can survive without having to check my email or cell phone, as in 17 days I only turned them on four times. Experiencing the moment and soaking up the pleasure of being with dear friends and family touched my heart. The first day of our two week escape to Europe was in Marseilles, France. Nobody slept well on the plane trip, which involved flights from Austin to Chicago, Chicago to Brussels, and Brussels to Marseilles. All had gone well, the flights were on time, the kids were well behaved (yeah! ), and best of all we were now in France. Alas, the line at Hertz was unbelievable. I have never seen a line this long for anything. Think for a moment about the longest line you have ever seen at a rental car counter. Do you see this in your mind. Yikes, that is long, right? Well this was longer. It snaked though the parking lot and took over two hours to reach the counter. This was a cultural lesson, because in the United States people would have been irate to stand in the hot sun, but alas, everyone was in great spirits. Granted, few were speaking English, but everybody was just taking the situation in stride. One kind traveler from Germany shared that Americans expect everything fast, yet Europeans go with the flow. When we finally reached our hotel the day degraded even further. We had only one night in Marseilles before joining friends at a large Chateau, and the hotel, which looked very appealing on Hotels.com, was substandard. It was located in a very bad part of town that did not feel safe. While the hotel lobby and rooms were renovated, the area was frightening. They locked the doors at 7PM (guests were given a code to get in the doors) to keep the outside out. Additionally the room smelled really bad. We all settled down to nap, and I whispered to my wife, "would you be happier if I called an got us a room at the Radisson tonight instead?" She did not have to think twice. I spoke to Frank at the beautiful new Radisson Hotel on the Old Harbor in the heart of Marseilles. He was very helpful and booked us two rooms. We immediately moved. It made all the difference in the world. Frank and the staff of the hotel transformed our misserable day. We had dinner in the most charming bistro, Le Fetiche Restaurant on Rue Saens. Jean Claude who was either the owner or the worlds best waiter (or both) delivered amazing service. The much needed wine hit the spot, and the food was truly delicious. Our day was complete with gellato for the kids (and the parents). The next day we took a tour that included a visit to the church on the top of the hill, The Norte Dame de Gare. The view of the city was amazing and we left Marseilles with only fond memories. Victory rescued from the jaws of defeat. A good lesson that a bad experience or two can quickly be erased if you have the right attitude. We are always going from zero to sixty with bugs in our teeth. Sometimes it is best to take a vacation. It is common for people in other cultures outside of the United States to take two, three and four weeks off. In America we usually string a few three days weekends together throughout the year. A short vacation is nice, but barely gives you the chance to unwind before you are back in the mix. I have never been one to take long vacations. I have only taken more than a week off at one time twice before this year. However, I just returned from 17 days in France and Ireland, and I feel great. I almost never checked email or voicemail and just spent time with my wife and kids. Take the time and unwind. You will feel better for having taken the time for yourself. 88 miles pers hour and 1.21 jigawatts directly into the Flux Capacitor ...Kapowie....you go to the future (or Back To The Future). But life is not a movie, and we cannot bend the space/time continuum. All we can do is visualize where we want to be down the line. So what is it that you want in the future? You have to have a clear vision and some goals of where you are going in order to achieve. If you do not know where you are going, how will you know when you arrive? Think about what you want to achieve in your life, both in your career and personal life. Write it down and focus on your desires. Do not just let life happen, create opportunities. I know, life is hard and distractions are paramount. There are a million reasons not to be one of those motivated, goal-setting, types. It is easier to roll your eyes at the thought of writing down your goals and planning for a future of success. I know a woman who can find the dark cloud in every silver lining. She mocks anyone who believes in self-help and motivational goal setting. But she never seems to make any advances with her own life. She is stuck in park with no gas in the tank. Her negative look at planning for achievement is what keeps her from growing. My thought is that you lose nothing by setting goals and reaching for the stars. Worst case is you do a little bit better than if you were to just float along. Goal setting and striving for more in life has no downside (as long as you are realistic in your ambitions). Most likely your accomplishments will expand if you work on creating the future you desire. So take a few minutes and think about your ideal job, your dream vacation, improving your family relationships. What steps can you take to make those into reality? WELL??? Why not take those steps? Even a little improved future is good. Interacting with other people is a great thing that can and will lead you toward greater success. Opportunities come to those whom are networked, so putting yourself into your business community and cultivating friendships is important for everyone. Unfortunately, the world is populated with some jerks. Luckily, they are the exception, not the rule. However, if you are actively networking and meeting new people you will encounter some bad eggs. While you do not have to include everyone in your circle of influence, you still need to be polite to everyone. Thus on those occasions when you encounter someone whom you do not like, who does not have a good character, who is weird, or whom is just mean spirited....you need to keep your cool and behave professionally. We all meet people that drive us crazy. When this happens the best course of action is to keep your composure, and act neutral toward the person. Do not "fake" it, meaning do not pretend to be their friend (that would be phony). Instead, just behave like the seasoned business professional that you are. You get nowhere by confronting a jerk, or making a scene. Best just to politely excuse yourself from the conversation and move onto find new people with whom to talk. You will not be able to change the other person, so trying to point out to them the error of their ways just leaves you looking bad. Additionally, if you have a temper, never let is show itself in a professional setting. Do not let others push your buttons and set you off. Best to just remain cool as a cucumber. I read an interesting book, Coolhunting: Chasing Down The Next Big Thing, by Peter Gloor and Scott Cooper. While parts of the book were a bit too academic (statisticians and PhD's will love those parts!!! 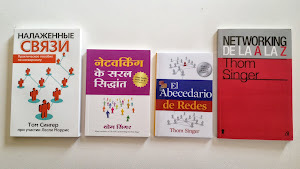 ), the message of the books was very compelling. Trends are spread through people who are networked. To study the phenomena of what becomes "cool" they find that when people are connected, and how they interact, plays a valuable role in driving popularity of trends. Groups of people working together for the common good through Collaborative Innovate Networks can accomplish more than those same people would in isolation. One example is bee hives. Researchers have found that bees do not break off from the hive to start their own hive the way that humans might leave a company to start a competitive firm (although there are situations when a hive becomes too large that a new queen comes in and the old queen takes half the workers, but this is for the collective good). Bees always perform with the good of the entire group as their central motivation. Our human culture is changing faster than ever, and the those who are out in front are not just starting trends, but are cultivation their popularity. When focused on extreme communication with those in your network (both give and take), you can influence the future. This means that you have to be paying attention to what is happening around you and engage others in conversation about how these trends effect you today and in the future. To do anything less is to just sit and wait for the tide of change to engulf you and sweep you along to destinations determined by others. Become proactive within your network. Educate yourself about what is changing. Evangelize for the common good. Strike the passion in the hearts of others. Change the world for the better. The opportunities are available each of us to make a difference. Let's do just that. Make a list of what you are trying to accomplish in your career. Don't just think about what you are working toward, actually write it down. Be clear about what success looks like (so that you will recognize it when you see it), and break each goal down into the parts that need to be completed in order to achieve the whole goal. Once you have written down your goals, and you know the incremental steps to reaching them, you need to put that list in a drawer for about a week. Do not look at it ...yet. Let is sit. Allow the parts that you wrote down to sink into your brain. After the week has past, take the list out and edit your goals. You will be surprised how you point of view of your life could have shifted in just a few days. Feel free to add goals, remove goals, and change around the steps toward success. Now you should have a pretty good feeling about your list. If you do not feel that it is right, put it away for another week. There is no hurry, you are running a marathon, not a sprint. Creating a successful list of goals that keeps you motivated takes some time, and they will always be open to change. Writing down you goals is a good idea, but that alone is just an exercise. The real results come from reviewing your goals. This means that you must re-read them on a regular basis. Some people will tell you daily, others might say weekly. The important part is not the frequency, but that you do it on a consistent basis. It also helps to share you goals with other people. Keeping them private does not give you as much motivation as having a coach, a friend, or a group of people who will hold you accountable for taking the right actions in life. Each decision you make leads you close or farther from you desires. When others know what you are striving toward, they will help you stay on track. Have you ever taken a kid bowling? They have bumpers that pop up from the gutters to keep the ball in the alley. Goals are like those bumpers. They do not stop you from bouncing around, but they keep you from throwing gutter balls! Today we have a special Guest Blogger. Marny Lifshen is communications consultant, and is also my co-author for the new book, "Some Assembly Required For Women", which is due out by the end of this year! 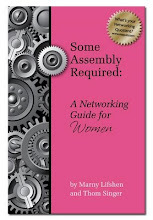 This book will be a follow on to "Some Assembly Required: How to Make, Grow and Keep Your Business Relationships", but focusing on unique business and networking issues women face. Marny is an experienced business professional, and I know you will enjoy her guest blog! I wish I was a morning person, up by dawn, plowing through emails, meeting clients and colleagues for coffee. I wish I was a night owl, staying up hours after the kids are in bed, catching up on work, finishing chores around the house. Unfortunately, I’m neither. I crawl out of bed when my four-year old pokes me around 7:00 am, and I rarely stay awake much past Letterman’s monologue. So how do I get everything done in a 15 – 16 hour day, what with juggling a two-year-old, a four-year-old, a husband, my job, two cats, a dog and a horse? 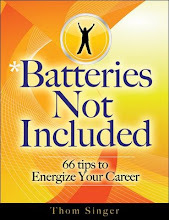 Not to mention the new book I’m co-authoring with Thom Singer. How do I find time for networking? And do I really have to? The answer is yes, I really do have to. The trick is to first make it a priority; then to make a plan; and finally to make it a habit. 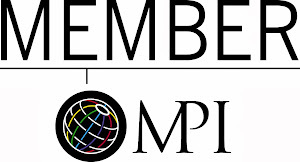 I work as an independent marketing communications consultant out of a home office three days a week. That enables me to spend all day Tuesday and Thursday with my girls. While this is a blessing, it also means I have to cram all of my work for clients and for my business into three days, including networking (except for the occasional evening event when my husband can come home early). Choose the one organization that is the most relevant to your career or industry and be an active member. Most organizations only have one meeting per month, so commit to attend that. Take advantage of these events to meet new people and strengthen relationships with existing contacts. Hold meetings – coffee or lunch work fine – two times per month with important contacts. Review your rolodex/database regularly to make sure you’re not overlooking people you haven’t seen in a while. You don’t have to have a specific agenda beyond building/maintaining your relationship. Identify the 2-3 key events in your community or industry and commit to attend per year. It doesn’t matter whether it’s a black-tie awards gala or a two day software conference - figure out which events are critical for you to attend, and put them on your schedule. Try combining multiple meetings into one. If there are three or four people with whom you have been meaning to meet, ask yourself if you could schedule one luncheon with them all. If they don’t already know each other, perhaps they should! Proactively contact to at least 2 people in your network per week via email, phone calls or hand-written notes. You don’t have to be face-to-face to keep relationships intact. Begin networking online – online communities can be a great source of information, advice and contacts and nearly every profession and industry have one or more online communities. And, this networking can be done outside of traditional business hours, which helps free up your daytime schedule. When you make networking a priority and analyze your schedule to make your plan, you’ll see that some things have to go. I have always been very committed to serving community and charitable organizations as a volunteer or board member. But when I had children and made the decision to start my own consulting business and work part-time, I knew I wouldn’t have the time or flexibility to really be of value. While making a commitment to networking may seem daunting, it really is quite manageable, especially once it becomes a habit. The key is to reach out to people you don’t already see or talk to on a regular basis; grabbing coffee with a co-worker or calling a client is important, but doesn’t really constitute networking.